I began dreaming of Jiro on a visit to AJA last month. 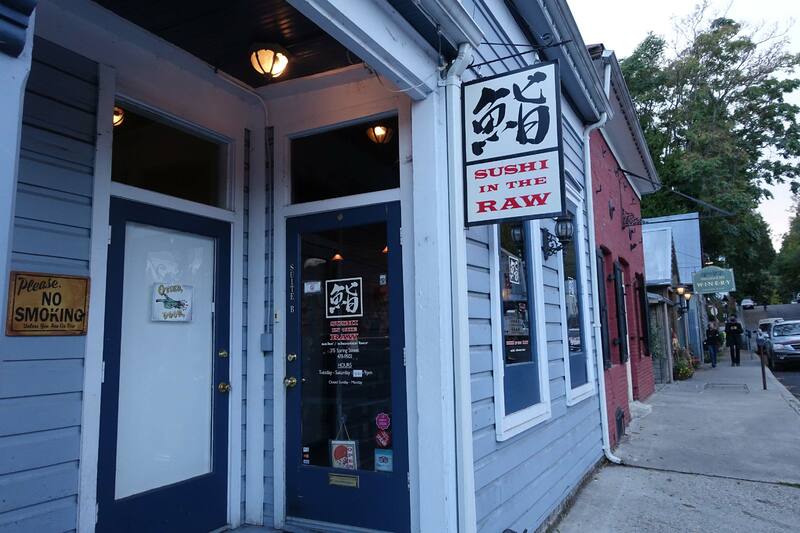 Nick Rashby, President of AJA, invited me to dinner at Sushi in the Raw–in Grass Valley, CA. Conversation freely associated RAW files, raw sushi, our upcoming trip to InterBEE in Tokyo, and the wonderful documentary “Jiro Dreams of Sushi.” Could we possibly score a seat at the hallowed altar of Jiro? A few days later, Nick sent word “Game On.” Eric Hamilton, in charge of AJA’s Asian resellers and distributors, managed to snag us a reservation at Sukiyabashi Jiro Roppongi. 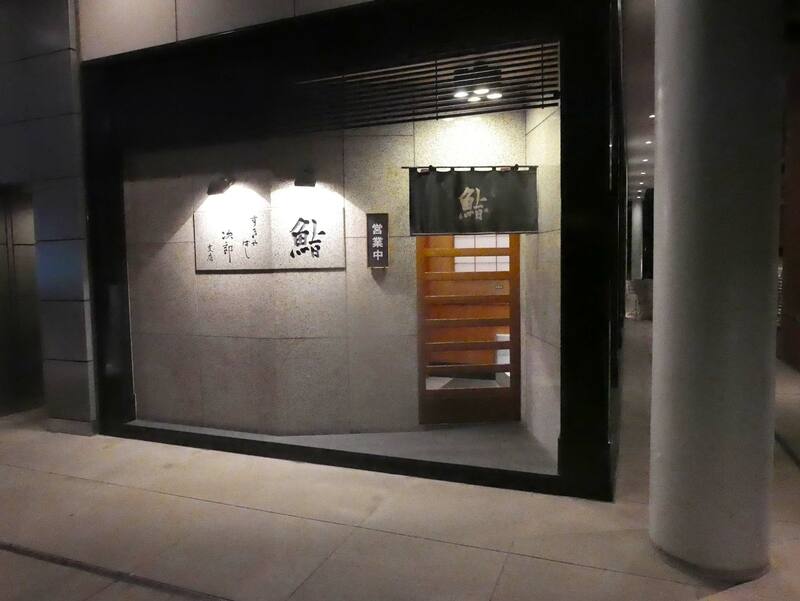 The original Jiro in Ginza is closed on Saturday evening, but the Roppongi Hills Jiro is open. 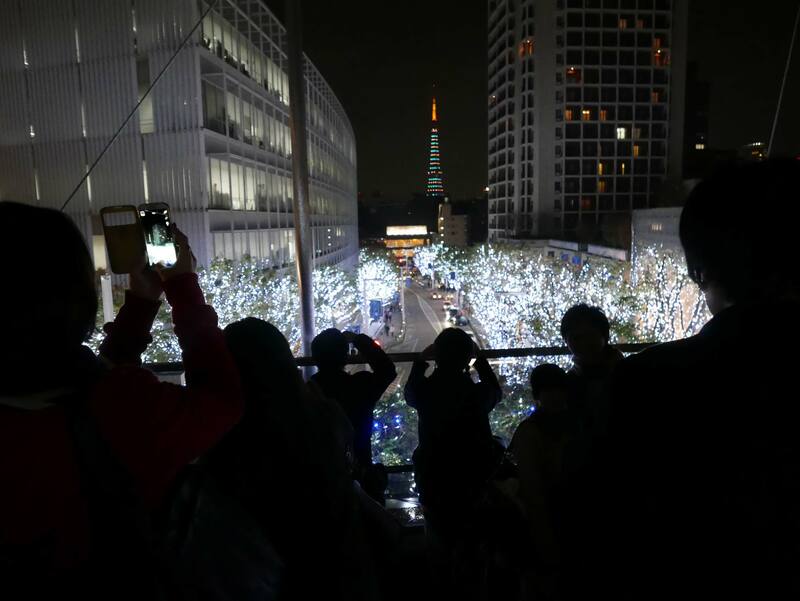 It is located in the posh Roppongi Hills development of real-estate tycoon Minoru Mori, called the Trump of Tokyo. 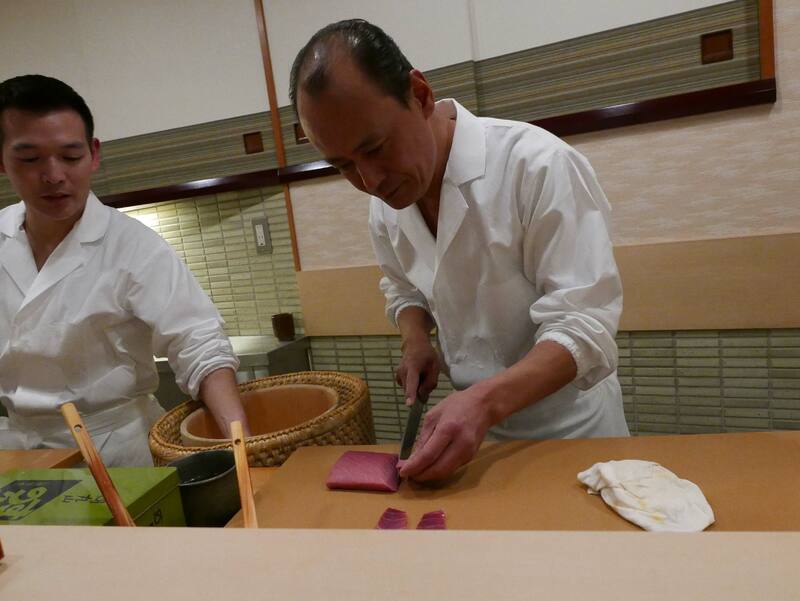 Sushi maestro Takashi Ono presides over the 10 seats at the counter and 2 tables. 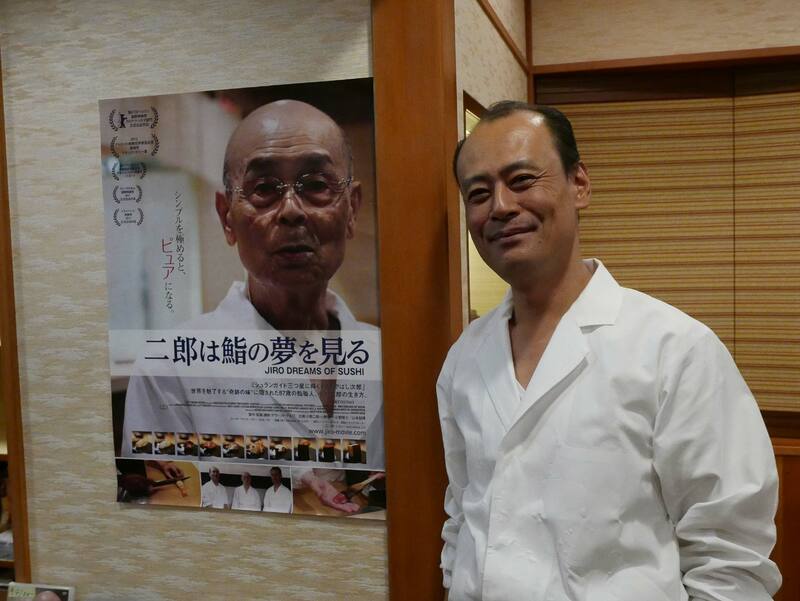 He is the second son of Jiro Ono, the 90-year old dreamer of sushi. If we were naming films, this would be “Son of Jiro” — as good as, perhaps better than, the original. The expedition was at the invitation of AJA and consisted of AJA’s Andy Bellamy, Ask Corporation’s Yoshihiro Maeda, Arato Ogura from ZEISS, and FDT’s Jon Fauer. Lest Film and Digital Times be perceived as devolving into Food and Drink Times (eats, shoots, writes), we need to feign at least a few technical connections. Wildly stretching, do we see a similarity between sushi master Takashi Ono and the lens meisters we met at the Fujinon factory a few days earlier? And what is it with this fascination in Japan of German vocabulary: sushi meisters, baumkuchen, Makuhari Messe? (see: Meiji restoration, 1867-1912, Japanese scholars studying abroad, foreign experts and exports in Japan, German industrialization, Admiral Togo using ZEISS binoculars in the First Sino-Japanese War (1894 – 1895). This came right after “recommended beverage is green tea.” Too late for that; we had already consumed several bottles of Jiro’s smoothest Junmai Daiginjo (made with very precisely polished rice (to aspherical tolerances perhaps) in a very labor-intensive, lens-like process–the summit of Sake: light, complex, fragrant and expensive. The Jiro look. Fortunately, we were not summarily expelled from this sushi temple, perhaps because Mr. Takashi Ono was welcoming, generously indulgent, and may have been advised in advance that we were camera Otaku (geeks). It also helped that Bellamy’s choir boy countenance had taken on an expression of absolute rapture beginning with the first bite. Mr. Ono was extremely welcoming and kind, guiding us through the subtleties of shrimp consumption (tail first, skip the very end, then the head) and a progression of lean bluefin tuna to medium to fatty tuna. All the senses got exercise. The Uni (sea urchin) was like a cold gelato atop lightly vinegared rice, made crunchy by a delicate wrap of nori (seaweed) that had been gently grilled over charcoal that morning. The Ikura (salmon roe) popped in the mouth. Cut to Jiro, gracefully balancing Ika (squid) atop a miniature bed of rice. It was another relevant film connection. 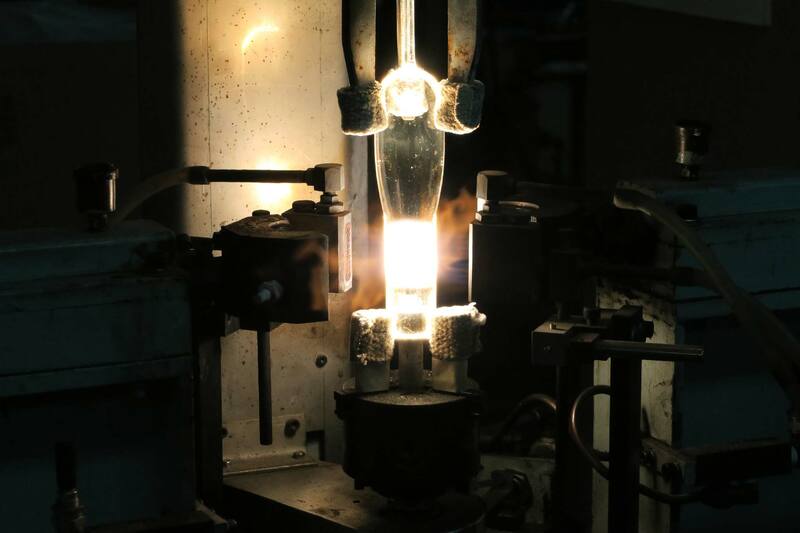 Just the day before, I had visited the Koto factory, manufacturers of not only high-end motion picture light bulbs (the big 20K bulbs are blown by hand) but also specialized lighting for squid fishing boats. Squid are best caught at night and are attracted to light, hence Koto’s waterproof HMI bulbs. Tamago (grilled eggs) is like the final scene in a script, the finale of the omakase menu. In addition to eggs, Jiro mixes Japanese yam and shrimp and grills it for an hour . Woody Omens once bestowed, tongue-in-cheek, an honorary ASC membership on Manet. He probably would do the same for Mr. Takashi Jiro, Association of Sushi Chefs. It was an evening of precision, perfection, performance and attention to detail. We had achieved Nirvana at the hands of a meister…er master. Photos: Leica D-Lux with Vario-Summilux f/1.7 10.9-34 mm zoom.